I approach this topic with caution. It’s one that’s near and dear to my heart, it’s sensitive for many, it’s complex, and it’s probably theological. So with that, I bow my humble head, to say that this is merely from my personal experience, and I’m not speaking for anyone else, other than myself. I’m also not claiming that I am right, that you are wrong, nor that we have to completely understand the complex nature of the Creator of the Universe. For nearly the last 5 years, I’ve been immersed in the Bethel Culture. The culture that believes that God is Good, the enemy comes to kill, steal, and destroy, and it’s always God’s perfect will to heal, all which I believe 100%. However in this journey of figuring out my identity, why I was created, and looking for purpose and destiny, I’ve been faced with these questions through different experiences, scenarios, or friends wanting to know my thoughts: Did God create me as a little person? Did He make a mistake? Is dwarfism a part of His creation? Do I need healing from dwarfism? Before attending BSSM, I believed that “I was a mistake.” Science defines dwarfism as a genetic mutation, a birth defect if you will. It’s outside of the “normal.” Growing up, I believed that I was a punishment to my parent’s past behaviors, and because God was mad at them, He gave them me as a result of His wrath. This sounds absurd right? Except the thing about believing a lie is, they sneak in when no one is looking. They become a part of your worldview without you even being aware. And before you know it, you view life through a filter that you’re not filled with purpose, you’re a mistake, and God messed up on you. So then we settle… We settle on our dreams, our jobs, our relationships, and so on. We grab ahold onto anything we can get, because we think there is nothing better for us, and God doesn’t actually have something incredible planned for our life. But this is where I believe I had it all wrong. I’ve heard debates on all sides of the spectrum. On one side it’s all about God being perfect, that He doesn’t make any mistakes… so when tragedy happens, someone has a sickness or a physical/mental disability, it’s His will and we need to just accept it. But then there is the other side of the spectrum, where arguments say it’s not His will for someone to have Cerebral Palsy, He didn’t create Autism, He didn’t create Downs Syndrome. The list goes on, but it’s always His will to heal these things, because He’s a good Dad, and good Fathers want the very best for their children. They want their children to thrive and to not be in pain. It was not Him that created these conditions, but these things happened when sin entered the world during the fall of mankind. They come from the enemy because there are 2 forces constantly at play. Except in most circumstances, we are conditioned to give credit to God for everything… the good, the bad, and the ugly. So where does dwarfism stand in all of this? Is it something that was created by God? Or is it a result of the fall of mankind and someone with dwarfism has the ability to be healed? There are some little people that go through brutal surgeries to have these effects reversed. They have bones in their arms and legs broken, pins and screws put in place, and then over a period of months, their bones are constantly being broken and stretched apart, until desired heights are achieved. Currently there are pharmaceutical companies inventing drugs that are still only in the beginning stages of being studied, in order to “reverse the effects” of dwarfism. Parents who’ve never had a little person enlist their young children into these studies, with unknown long term side effects, because science, society, and comparison to the rest of the world, tells these parents that something is the matter with their child. Their child is a mistake. Their child is broken. Their child won’t have a good life. Their child won’t thrive. Their child must be fixed. But who gets to decide what is normal or ideal in this world we live in? When did parents get to decide for their children what was necessary to thrive? Just because something is different than your experience, doesn’t mean it’s wrong or not a good thing? So if you were to ask me the question, did God make me a little person, diagnosed with dwarfism, or was that His mistake? I would tell you, with 100% certainty, He knew very well what He was doing when He made me a little person and He created me accordingly. I believe that God is the epitome of creativity. He created the universe, He created color, and He created diversity. He creates every single day, every single minute, every second, when He breathes life into every human being on this planet that lived or ever will live. He creates beautiful masterpieces from the start… He created all shapes and sizes, all different colors, and all different ethnicities. So what’s to say that His creation stops when it comes to height? I believe that little people just carry a different facet or perspective of the Father’s heart that no one else can carry. He appointed us to live deep and fulfilled lives, to thrive, and to be just as brave and courageous as any other human being on this planet. However, I understand that with saying this, Jeremy and I are both incredibly healthy. We are so lucky because we’ve had minimal surgeries compared to others with dwarfism and everything in our body functions normally. We don’t have shunts, we have minimal pain, we are strong, and our joints all work properly. 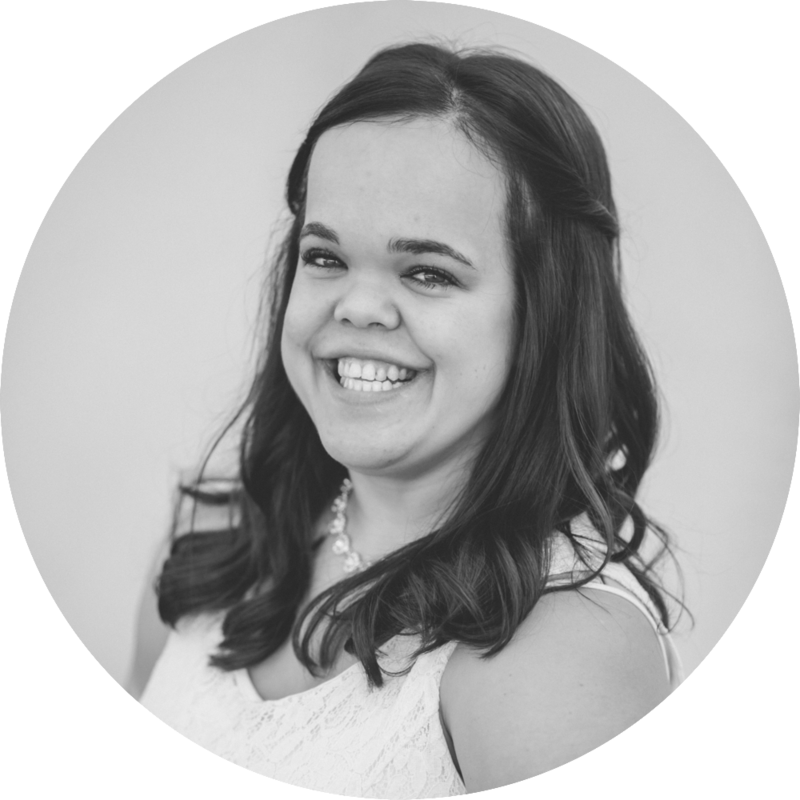 We are really grateful and quite lucky, because not everyone that has dwarfism has this same experience… and this is where the line gets grey, where sometimes my beliefs get twisted, or attacked by others on the other side of the spectrum. I don’t for a second believe that God created little people as a cruel mean joke, making us on purpose, knowing we would be full of health concerns, and chuckling up in heaven, as some go through really difficult seasons of surgery, their children are in the NICU, or they experience large amounts of pain throughout their bodies…. I believe we can thank all of that to the fall of mankind. God designed us to live long, healthy lives. I say that, because I know many little people that are thriving, and Jeremy and I are living proof. Some great leaders at Bethel Church taught me that the enemy comes to kill, steal, and destroy… He’s not afraid of our past, but he’s terrified of our future. The enemy knows what we are capable of and I can only imagine that he’s terrified when he sees our life in a timeline view. So he tries to put a stop to our destiny. Not just to little people, but also to those with autism, those with cerebral palsy, those with chronic pain or autoimmune conditions, the list goes on. The enemy throws us off guard by adding sickness, adding pain, creating trauma, whether it’s after conception, in the womb, at birth, or later in life. And all of those attempts of the enemy are in God’s complete will to heal. He wants those with special needs to thrive. He wants those with pain to be pain-free. He wants those with anxiety to be at peace. So did God create little people? I think so. Did he create all the medical conditions that come with it? No - In my opinion, that is just one giant scheme of the enemy, to make us think we are less than extraordinary, and to stop us in our tracks. The enemy brings evil to good things, to make us believe that God brought along the bad with the good, in every single situation. So as you read this, whether you’re a little person, whether you have a different ability, or whether you’re just a friend, I hope you are encouraged. I hope you know that you are beautiful, that you were made perfectly in His image, and that God created you with a destiny in mind that He holds deep in His heart. He loves you more than you can ever imagine and you were never born as His mistake. You are fearfully and wonderfully made.